Product prices and availability are accurate as of 2019-04-22 21:50:23 EDT and are subject to change. Any price and availability information displayed on http://www.amazon.com/ at the time of purchase will apply to the purchase of this product. Disposable tableware made of sugar cane from Natuven makes the difference! What makes these sugar cane plates so special? 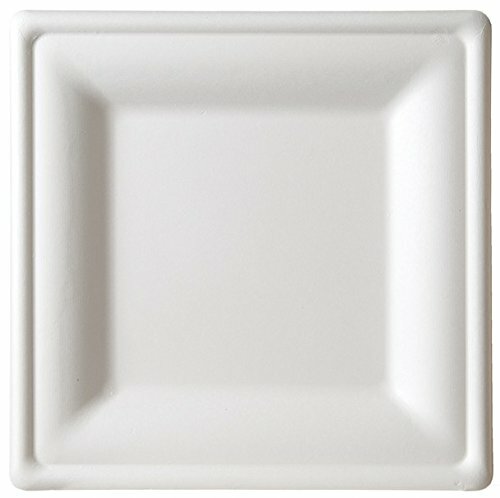 The square plates of sugar cane are excellently suited as an environmentally friendly party tableware. The plates are made from the residual fibers, which remain as a waste product when the sugar cane plants are pressed in the sugar production. These residual fibers, instead of being disposed of, can also be further processed to the so-called "pulp". This fiber slurry can be used instead of wood-based cellulose, which must be cultivated separately, for the manufacture of disposable packages and disposable dishes. 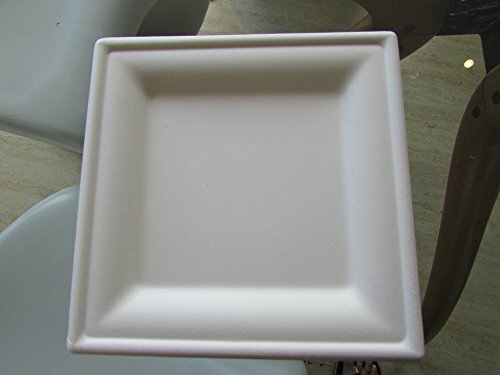 Sugar cane plates, also known as bagasse crockery plates, can be used as an alternative to disposable carton or plastic dishes and is certified to be biodegradable. Thanks to the special material these plates are as robust and stable as thin cardboard or plastic dishes. 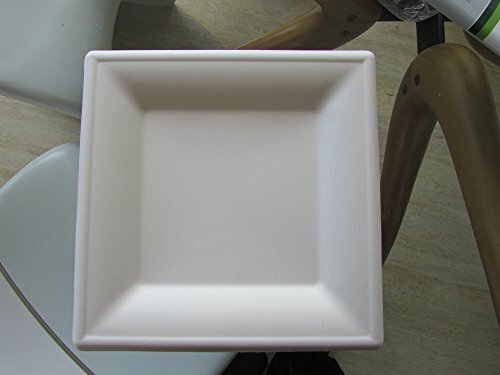 The Plates at a short glance: Model: Sugar cane plate square, white, environmentally friendly bleached, variegated Measures: 8 inch (20x20cm) Material: Sugar Cane Bagasse 100% biologically, completely compostable acc. 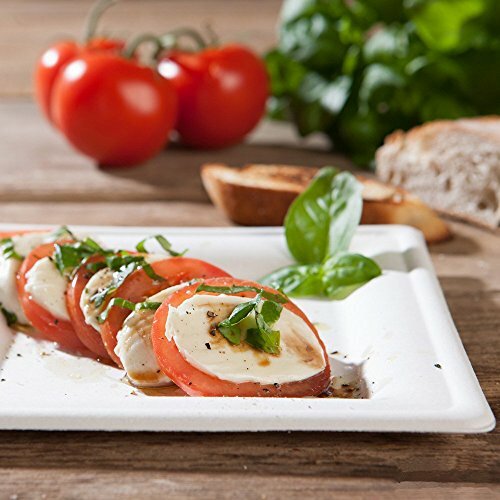 DIN13432 Packing unit: 50 pieces Our assortment of Natuven Plates offers a wide range of sustainable takeaway packaging and environmentally friendly disposable items made of renewable and recycled raw materials for private and professional needs. Trust our direct, fair cooperation with the manufacturers and profit from the high and reliable product quality. If you have any questions about the sugar cane product, or if you are looking for something special, we will be pleased to advise you personally.